Keyrings and Bag Clips There are 16 products. 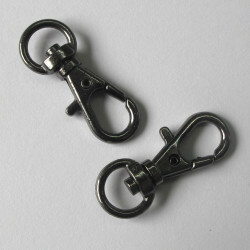 Small bag clip Pk of 10 approx. 22mm long. 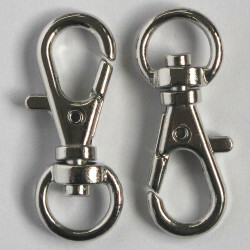 Small Bag Clip, Approx. 22mm Long. Pack of 10. Swivel type. 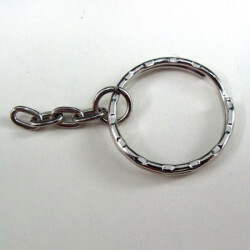 Key ring, 25mm with chain. 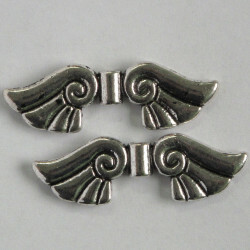 Large, stylised, angel wings, pack of 2. Large, Stylised, Angel Wings, Approx. 44mm by 14mm, Pack of 2. 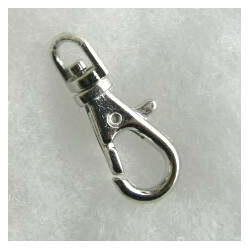 Large Bag Clip with Swivel Loop, Silver Coloured, Approx. 38 mm by 17 mm, Pack of 3. 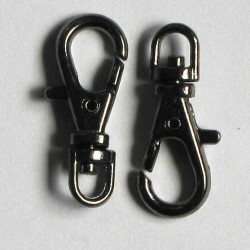 Medium Bag Clip, Black, Approx 32x13mm, Pack of 5. 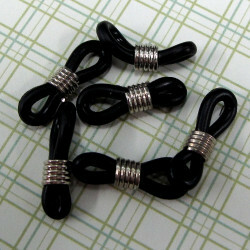 Small Bag Clip with Swival Loop, Black Coloured, Approx. 23 mm by 9 mm, Pack of 10. Mobile phone strap, red and silver coloured. 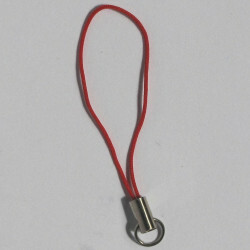 Mobile Phone Strap, Red and Silver Coloured, Approx. 50 mm Long, Pack of 10. 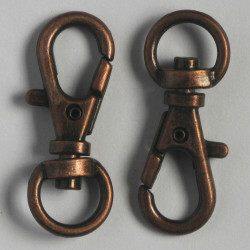 Small Bag Clip with Swival Loop, Antique Copper Coloured, Approx. 23 mm by 9 mm, Pack of 10. 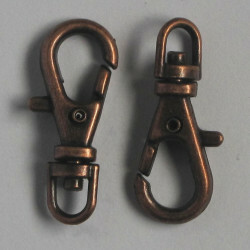 Medium Bag Clip with Swival Loop, Antique Copper Coloured, Approx. 32 mm by 13 mm, Pack of 5. 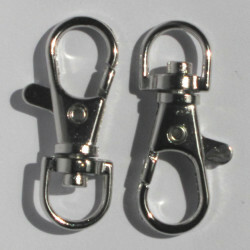 Medium Bag Clip with Swival Loop, Silver Coloured, Approx. 32 mm by 13 mm, Pack of 5.